Dr. Georgios Goumas graduated from the Dept. of Electrical and Computer Engineering of the National Technical University of Athens (NTUA) (1999). He received a PhD Degree from the School of Electrical and Computer Engineering of NTUA in January 2004. PhD Thesis Title: "Automatic SPMD Code Generation for Tiled Nested Loops". His research interests include high-performance computing and architectures, resource-aware computing, automatic parallelizing compilers, parallel programming models, run-time systems, scheduling for CMP and extreme-scale systems, performance modeling and others. He has published several research papers in journals and international conferences. He has worked in several European and National R&D programs in the field of High Performance Computing, Networking and Storage for IT systems. He is a member of the IEEE and of the Technical Chamber of Greece. 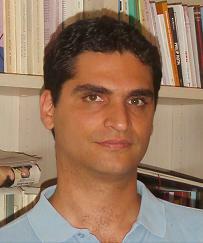 Assistant Professor at the Computing Systems Laboratory (CSLAB), School of Electrical and Computer Engineering of NTUA.